The 7th running of the Griffin King of the Hammers Presented by Nitto Tire will be the largest to date with an expanded Vendor show, and additional entertainment.Look for some exciting changes to the race course as well as improved spectator areas. 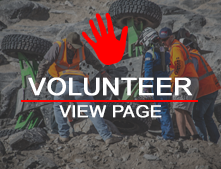 Again the event will take place during the second week of February and the main event will be held on <strong>Friday, February 8, 2013.</strong> 4Wheel parts will host the Time Trials and Last Chance Qualifier and make daily deliveries of parts to the lake bed during the week of KOH. Need an axle or Ring and Pinion? Just head over to the 4Wheel parts Hammertown branch and place your order for next day delivery. Make your travel plans now for the biggest Hammertown yet. Rugged Radios announces a $1000 payout to each overall winner of the 2013 Griffin King of the Hammers Presented by Nitto Tire, Smittybilt Every man Challenge, and KOH HCR UTV Race.